The sun shines, the weather invites go out, and the nature awakes anew. Nature reveals her true beauty in strong shades of green and magnificent leaves. This also means that the summer season has begun and each year couples in love decide to give the "wedding vow". However, this means a lot of preparation and management for the couple. They have to find a location and everything has to be planned down to the last detail. But also, as a guest, you are not completely spared, because after the invitation a question arises: What should I give as a present? For this topic, we would like to help you out with our tips and tricks for the perfect gift and the following ideas for wooden wedding gifts. Finding the perfect gift for somebody is not that easy. The best is to give something unique or personal to make the day unforgettable for the couple and to give something that touches them deeply when they open the surprise. What is, when it comes to uniqueness, more appropriate than nature which gives us so many special places that will be remembered at first sight? Something that accompanies us every day and is found everywhere is wood. Despite its simplicity, every piece of furniture and accessory made from the fragrant raw material is something very special and unique. And we, from BeWooden, have also committed ourselves to this motto. We want to emphasize the uniqueness in each person, because each one of us is also a miracle of nature. For every, but especially formal occasion like the wedding, we have the right accessory. The best wedding gift is an item which both can enjoy. It is best to give them something unique and personal with which the couple is always reminded on the big day. Like two people who are connected through the wedding, sets of several objects belong together and complete each other. So they are perfect as a present. 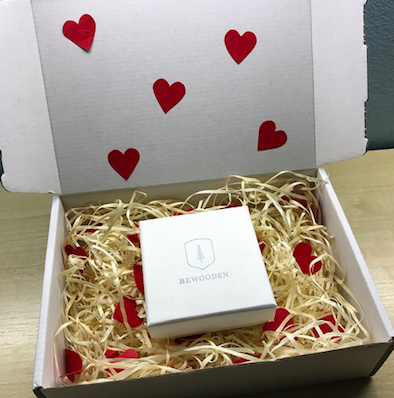 Matching this, we have prepared a selection of parts of our product range that are perfect for couples and will accompany the couple throughout their lives. Not only we human beings find companions with whom we want to spend time together in our lives. There are also partnerships in the animal kingdom. One of the most graceful animal couples, often encountered in our beautiful forests, are the stag and the deer. However, this couple could not be more different. While the stag stands for strength, pride and leadership, the deer is considered as being elegant, prudent, and sensitive. As different as these two graceful animals are, are also most couples. But nevertheless, they understand each other and belong together. 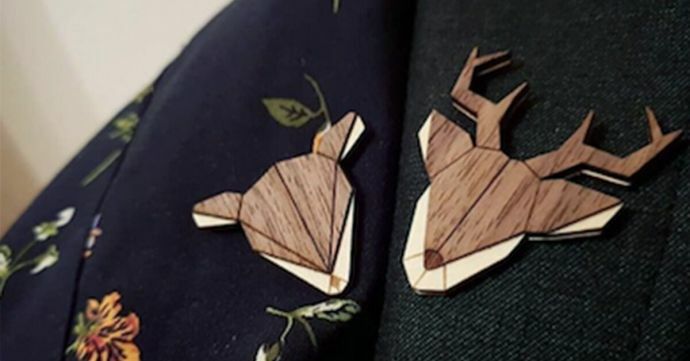 Like the stag and the deer. They complete each other and are therefore also a good symbol to symbolize the unique bond after the wedding. Whether in the form of a brooch that suits any outfit or a necklace for any occasion - no matter where you are, these accessories are a real eye-catcher and great companions. A round shape like the meaningful wedding rings offer bracelets. These popular accessories can be worn on all occasions and enrich any outfit. What would be more extraordinary than unique bracelets made of high quality pearls combined with noble woods? 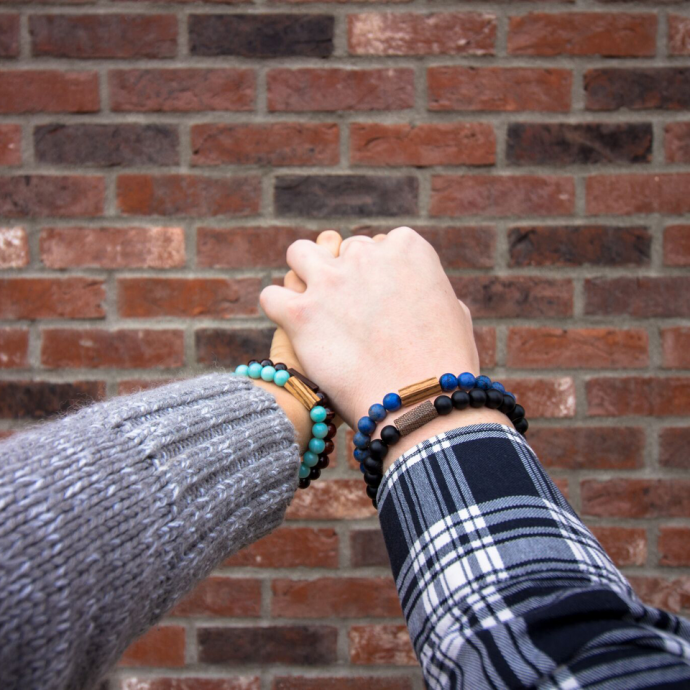 Each of our sets consist of two bracelets which are especially designed with the idea of handing over an exemplar to a loved one or your partner. Because this set also belongs together and symbolizes a unique connection, the one who wears one of the bracelets always has the owner of the other bracelet close to himself. That causes that you never feel alone even if your partner is not with you for a longer period. For the individual touch, it is also possible to incorporate personalized engravings into the bracelets to make the accessories even more personal and symbolic for the couple. A suggestion would be, for example, the initials of the bride and groom. Anyone who thinks that bow ties are old-fashioned and no longer fit in the 21th century, is mistaken! 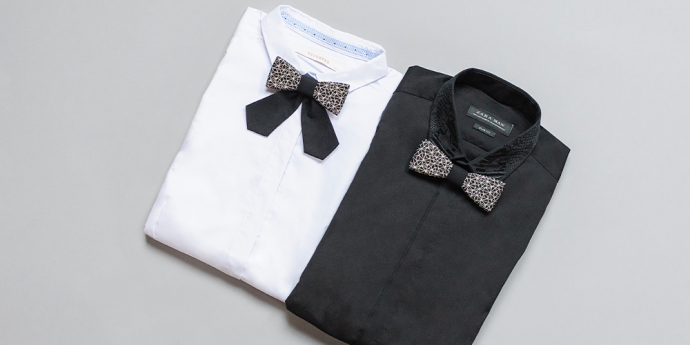 Already for a few years from now, bow ties have become present in public again and more popular than ever before. They represent individuality and let the wearer stand out of the crowd much better than a tie. They can be worn not only for formal occasions, but also for parties or relaxing evenings with friends. Our Cassio and Cassiopeia set consists of two bow ties - one for the bride and one for the groom – the set is perfect to show: we belong together. 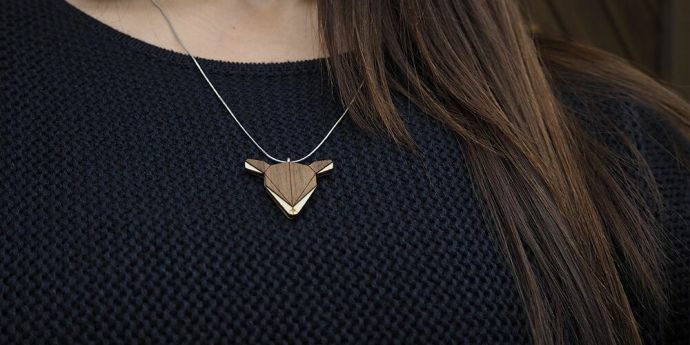 Also, it is possible to perpetuate memories forever with a unique, personalized engraving on the back of the accessory. If all these ideas don’t fit the sophisticated couple, then you might find the right gift in our online store. There are many more products waiting to be discovered.